As Bloggers we love to interact with you on our pages. Hearing our readers thoughts and opinions is what makes blogging so much fun. Every time you post or comment it makes us so happy! So here’s a fun giveaway that’s different from most. You don’t have to like any pages! All you have to do is check out some great cloth diaper related sites and show them some love. 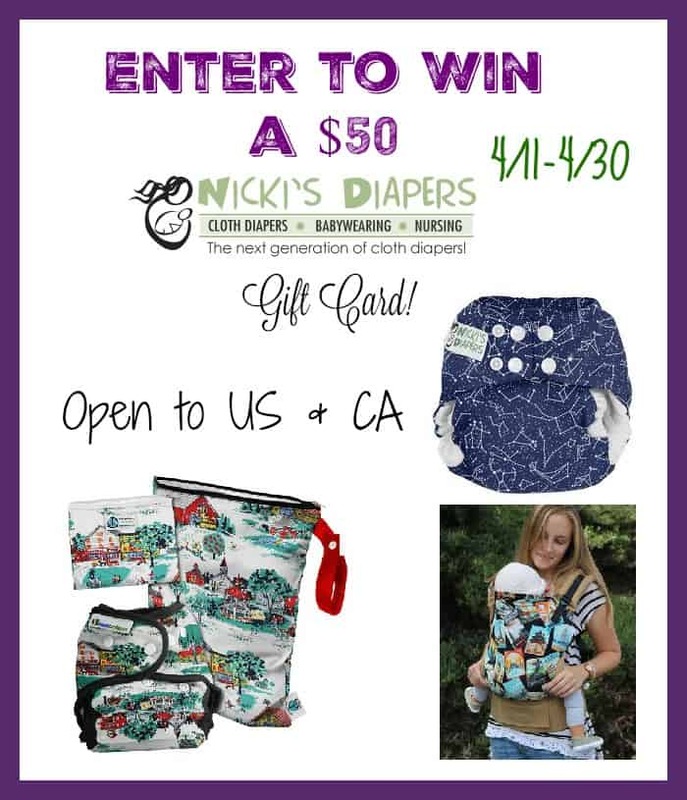 One winner will be chosen and they will get a $50 Gift Card from Nicki’s Diapers. This Giveaway is open to US & Canada and ends on 4/30 at 11:59pm. Winner will be verified! What will you get if you win $60 from Nicki’s?